New responsive HTML5 website templates with clean, flexible and creative design, these web template delivers the perfect user experience. All template are desktop, tablet, mobile optimize with unique pages and builders. 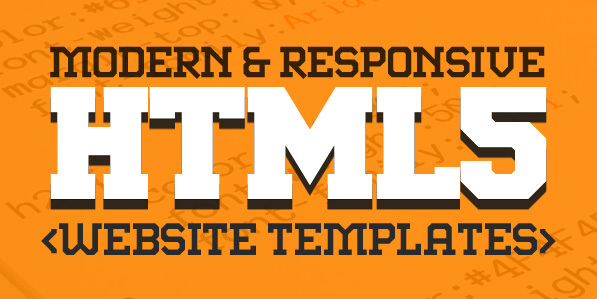 HTML5 templates are perfect for Corporate, Business, agencies websites to show their business online in more modern way. 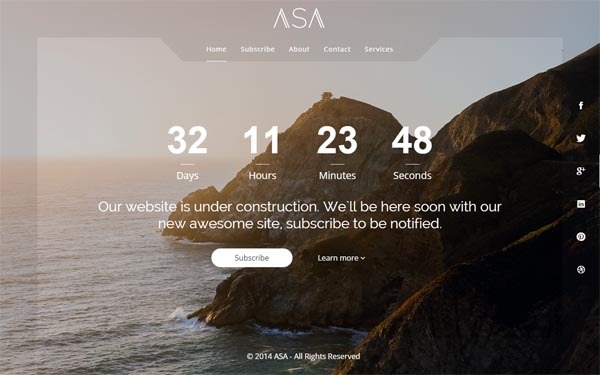 These Web Templates are focused on rich media storytelling and featured block-based architecture which is perfect to create single- or multi-page web solutions. All responsive templates are simple, clean and Professionally designed. Check out the screenshots to see all features components. Please, feel free to post a comment and tell me what do you need more. I will try to add more themes and templates. Obsession is modern, flat and clean coded App Landing Page. It is built with latest version of Bootstrap 3.3.1 and code is validated with W3C validator for HTML5 doctype. All code is properly commented and well organized to make it very easy for novice HTML users to make changes and to customize the template. OpenLoom is the ultimate HTML5 premium template which offers a full featured online CMS with page builder with unlimited possibilities. Optimus is a Powerful, Responsive & Raw and Easy to Use Multi-Concept HTML5 Template. Build whatever you like with this Template. Be it Business, Corporate, Portfolio, Agency, Magazine, Parallax, Wedding, Retaurant, Blog or App Showcase, Photography, just everything is possible with Optimus. Grand is a powerful, Creative Multi-Purpose Responsive HTML5 Template. The template design is simple clean and modern. Sirius is a fully responsive coming soon/under construction page. It offers stunning design, really great compatibility and comes with super support. Intuitive, easy and powerful – Sirius includes a vas array of features. Barrister is a traditional look trusted legal website designed for individual Attorneys, Lawyers, Law firms and for any Legal and Law related small business firms. The modern, clean and professional layout makes sure of your potential client to visit your site. It has so many real world features such as an Attorney directory, Gallery, Question and answer, Areas of Practice, News section and much more. Rhaenys is clean, flat Magazine site template. It comes with a modern design and very good typography. Rhaenys is 100% responsive with clean commented HTML5 / CSS3 Code. Onemini is a Simple and Clean premium HTML5 Template. It is suitable for Personal Portfolio, Creative Agency, Designer Portfolio, Illustrator Portfolio, and more. 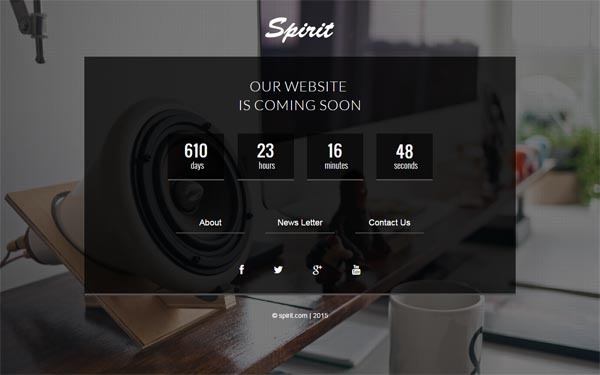 We Think WE CAN FLY is modern, clean and professionally crafted site template. 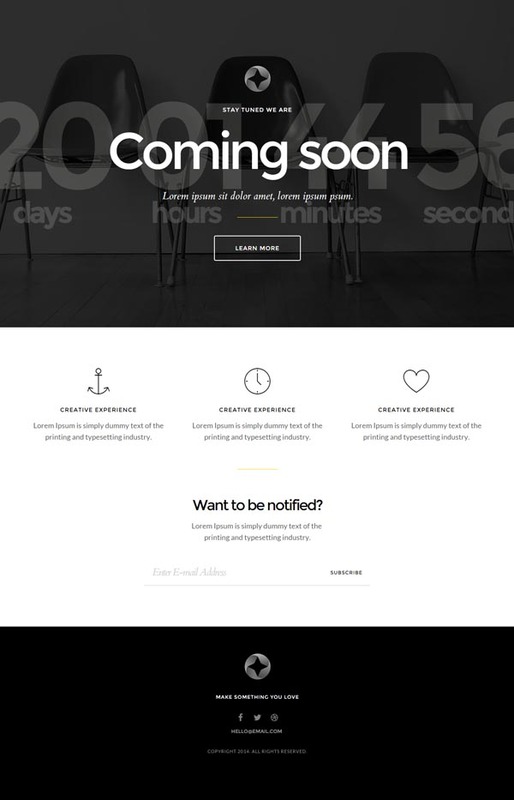 This template suits for any type of portfolio, personal website, business, corporate, design studio etc. It can be easily converted into responsive WP. Nice collection of HTML5 templates- I especially like the Grand template.